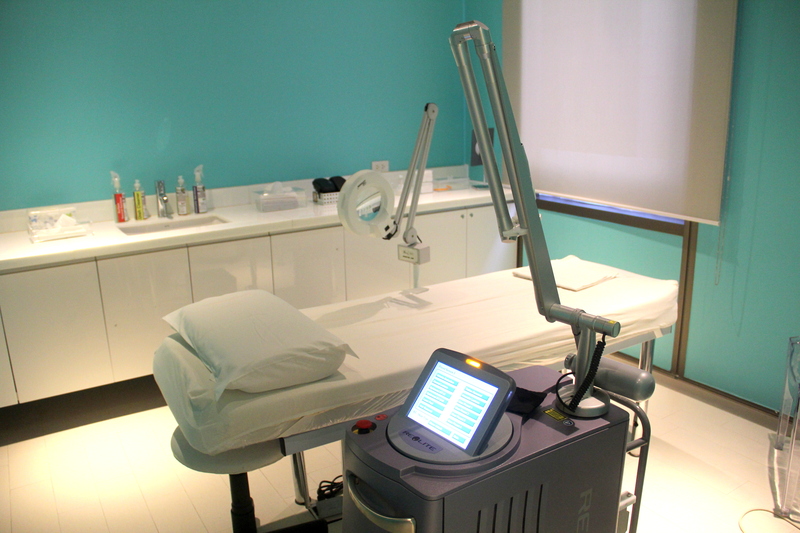 I was invited by Wink Laser Studio to try Revlite, their newest treatment. It claims to even skin tone by treating skin pigmentation and enlarged pores resulting in a smoother skin texture. I'm telling you right now, it works! After just one session, I saw a huge, huge improvement! I was in disbelief because I never thought it would be that effective in whitening the skin! Read about my entire experience after the break. 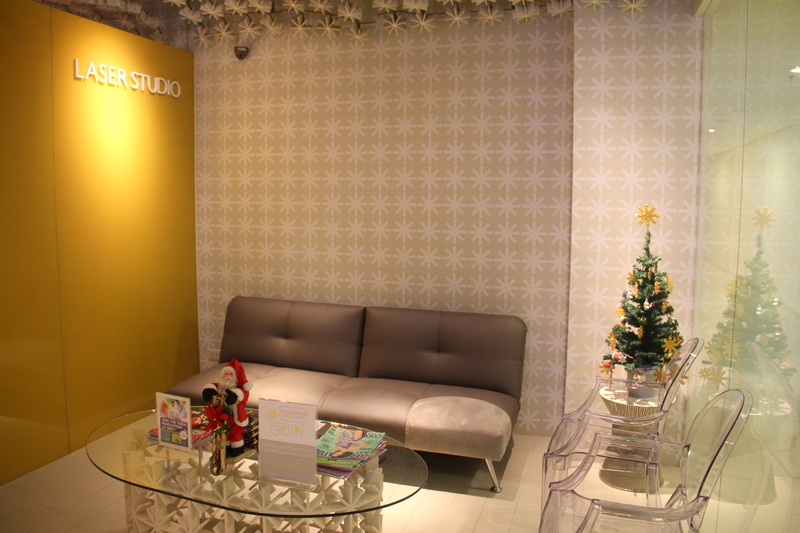 I visited their branch in Bonifacio High Street and was impressed at how the place looked. It was very clean and everything was in tip-top shape. These kinds of places make me want to relax and pamper myself! My experience was made so much better because of the friendly and accommodating staff! 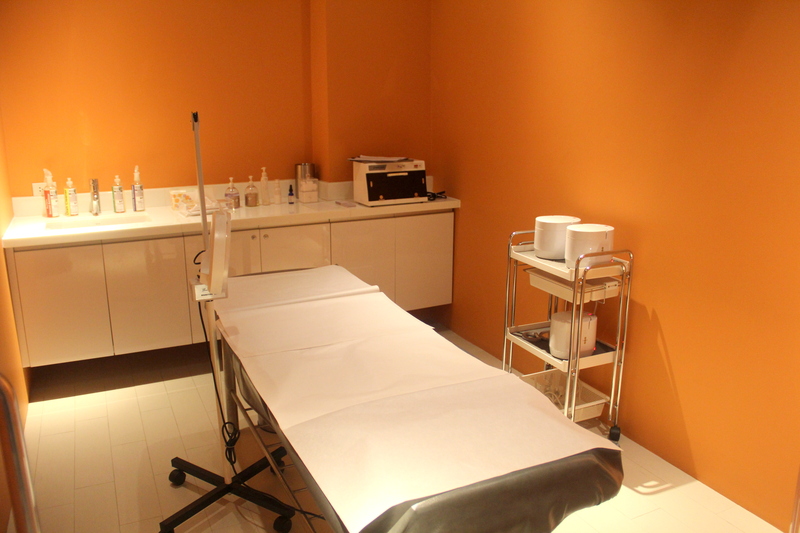 This is how the waxing room looks like. Look how neatly all the creams were arranged on the tabletop! Everything was so clean and orderly! For hygienic purposes they put disposable paper on the treatment bed and provide a freshly laundered blanket for each person. Next is the room where the Revlite is done. Revlite is used to correct complexion, erase acne, and delay aging. I chose to have it on the underarms (you can also have it on the elbow, knee, and bikini area!) for its whitening and tightening effect. As a side effect it also claims to permanently reduce hair in the area! Before the procedure, I was thoroughly briefed by the therapist about the process, what to expect, and the do's and don'ts after the treatment. The laser treatment was a bit uncomfortable, but definitely not painful. It was actually pretty relaxing, in my opinion. The entire procedure took around 20-30 minutes. After that there was no downtime and I was immediately back to my usual activities. I was impressed to see that the area visibly whitened right after the treatment! If it was like this after the first session, what more after a few more sessions? Based on my experience, I highly recommend this treatment! Each session is at Php 2,500, but you can avail of the different packages for a cheaper price.